1. This year marks the 46th time the Australian Touring Car Championship/Virgin Australia Supercars Championship has competed at Symmons Plains in Tasmania, making it one of the most historic venues on the calendar. Only Sandown has hosted more rounds in ATCC/VASC history (48 rounds). 2. This year is the fifth year in a row that Tyrepower has backed the Tasmanian round of the Virgin Australia Supercars Championship. The event was known as the Tyrepower Tasmania 400 in 2014 but since 2015 has been known as the Tyrepower Tasmania SuperSprint. 3. 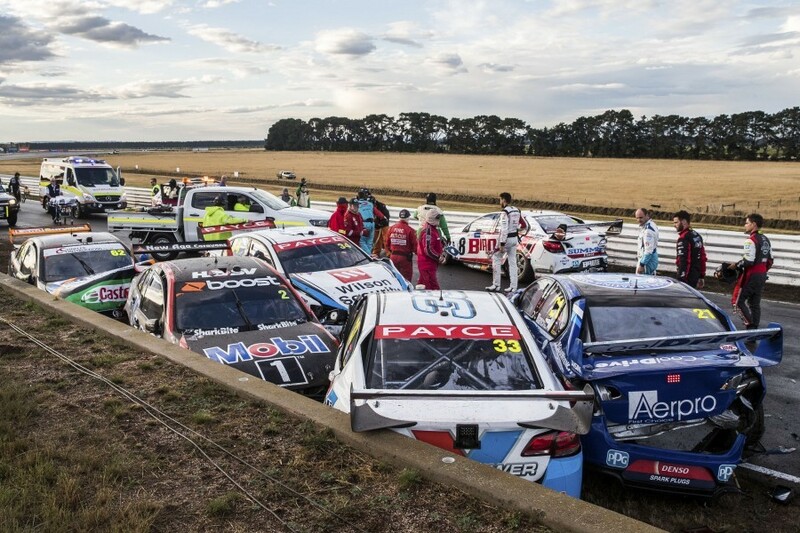 A total of 11 cars were eliminated from the Saturday race last year in a huge multi-car accident. No championship points were awarded for the race - won by Shane van Gisbergen - that ended due to the time certain finish being reached and only four laps completed in the available window of time. Four cars involved in the accident were too badly damaged to be repaired in time to compete on Sunday. 4. Scott Pye’s breakthrough Supercars Championship race win at Albert Park for Mobil 1 Boost Mobile Racing came in his 165th championship race and in doing so he became the 77th different driver to win a race in ATCC/VASC history. It also ended a 39-race drought for his team, which had last claimed victory in September 2016 at Sandown with Garth Tander and Warren Luff under the Holden Racing Team banner. 5. 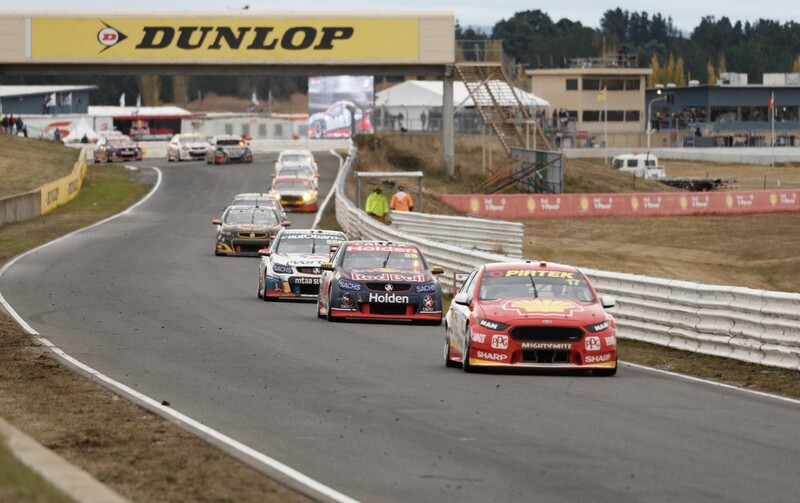 The closest race-winning margin at Symmons Plains in championship history remains 0.1038s when Jamie Whincup led home TeamVodafone teammate Craig Lowndes in Race 3 in 2008. 6. 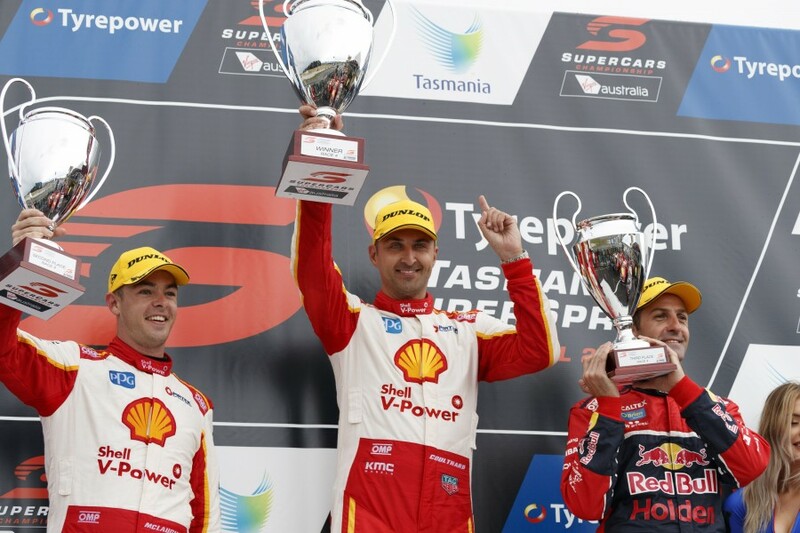 Shell V-Power Racing Team’s Fabian Coulthard broke a Holden winning streak at Symmons Plains last year. His Sunday victory stopped a run of 13 straight race wins in Tasmania for Commodore drivers since 2012. 7. The last time a Symmons Plains Supercars round was completed without the Safety Car being called on all weekend was way back in 1998 when the round was made up of three short sprint races. 8. Jamie Whincup holds both the qualifying and race lap records for Supercars at Symmons Plains. He set the 50.9676s qualifying record back in 2014 and broke the race lap record with a 51.4370s lap last year. 9. Mark Winterbottom (36 races), Fabian Coulthard (24 races), Michael Caruso (24 races) and Chaz Mostert (10 races) have 100 percent finishing records in their Supercars careers at Symmons Plains. 10. There are five Symmons Plains Supercars rookies in this year’s field - Jack Le Brocq, James Golding, Todd Hazelwood, Richie Stanaway and Anton de Pasquale. Le Brocq, Hazelwood and de Pasquale all competed at the circuit last year in the Dunlop Super2 Series while Stanaway competed there - and won a race - in Formula Ford back in 2009.